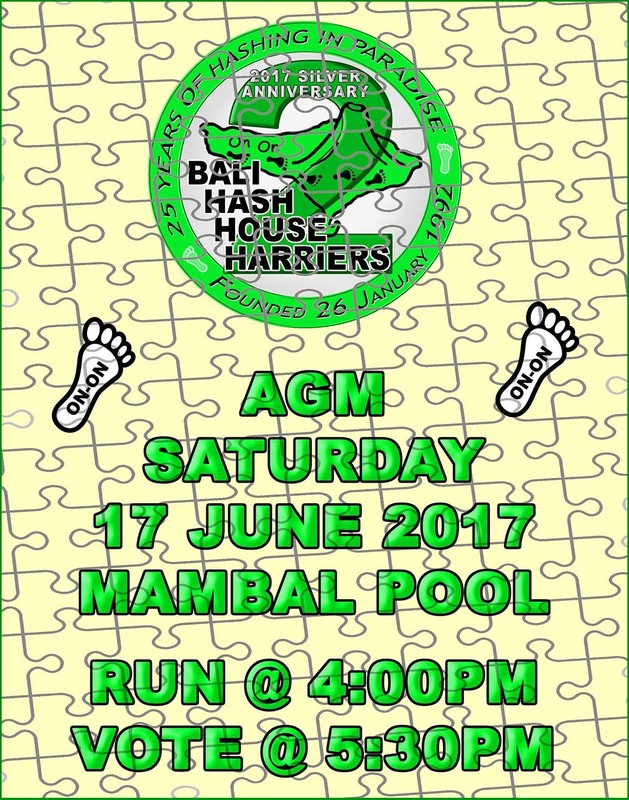 Don’t miss the Bali Hash House Harriers 2 Annual General Meeting Saturday 17 June 2017 at the Mambal Swimming Pool also known as KoLam Renang Tirtha Yasa MambaL. The run will commence at 4:00PM sharp and the meeting will be brought to order at 5:30PM. Hare by the Committee.